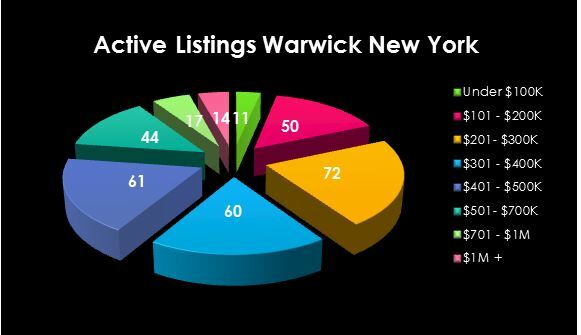 Homes for Sale in Warwick New York are plentiful. Spring always increases inventory, and we currently have over 300+ listings on the market today. New listings enter the market daily providing buyers with many choices. Pricing ranges from a small cottage at $39,000 to a beautiful upscale home at $2,975,000. Styles and design fit into varied lifestyle of those choosing to live in Warwick. Last year 265 homes sold in Warwick. Approximately 19% of those sales were over $450,000. New Construction was a part of the local sales, and 12 new owners found their shiny and new home in Warwick. Are you looking to relocate to Warwick? Homes are found in the many price ranges as indicated above. A beautiful community served by the Warwick Valley, Tuxedo, Florida and Greenwood Lake School Districts. Maybe you will choose to be a part of our community. Take a look at these new listings and let me know when you are ready to get started. 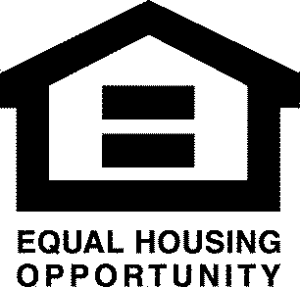 For additional homes for sale in Warwick New York continue the search here. So just where is Warwick New York? Check out this local map of New York. Only 60 miles north of NYC we are perfectly located. Come visit and see!